Our Bridgeport Grand Mission Bed is a combination of our Spindle and Panel Bed for that unique "Best of Both Worlds". Bench Built Solid Quartersawn Oak constructed with Mortised and Tenon joinery to last a lifetime, a perfect addition to any bedroom. As beautiful as it is built. 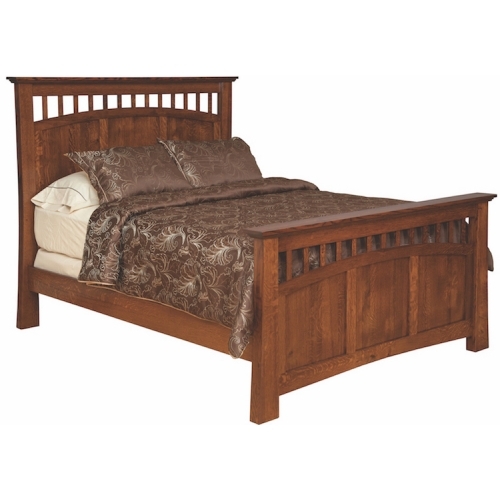 The Grand Mission Bed comes complete with Headboard, Optional Footboard, Side Rails, Dovetail box spring crossmembers and full center supports. Available in Queen, King & California King. Amish Built in the USA for life long sturdiness and dependability.